PISCES, the Pacific International Space Center for Exploration Systems, is a state-funded Hawai‘i aerospace center under the state’s Department of Business, Economic Development, and Tourism (DBEDT) division. Based in Hilo on Hawai‘i Island, the agency works to position the state as a leader in space exploration while developing sustainable products and technologies that benefit the Hawaiian Islands. PISCES provides hands-on experience to Hawai‘i’s future scientists and engineers through applied research, workforce development and long-term business and economic development, preparing them to meet the demands of a highly competitive industry while improving the local economy through job diversification, innovative products, and new industries. During the 1960s, NASA had first trained Apollo astronauts and tested the lunar rover systems on Hawai‘i Island, regarding the area as one of the realistic terrestrial and lunar-like they had found, due to the high altitude with greater solar radiation intensity, dry environment weather conditions, and availability of lunar regolith-like deposits of volcanic ash. These sites were easily accessible and also within a reasonable distance to the nearby the town of Hilo and the University of Hawai‘i campus. Realizing the potential of this area as a site for future space exploration development, demonstration, education, and training, the Japan-U.S. Space Technology and Applications Program (JUSTSAP), a bilateral organization founded to foster cooperation between the U.S. and Japan in space research and applications, recommended in 2006 that a simulation facility be constructed so space agencies and academic personnel could test and demonstrate exploration systems. Their initial suggested capabilities would include a test range for demonstration of robotic exploration systems on Hawaiian volcanic terrain, a simulated human outpost, long duration technology test beds, a high vacuum facility, and research and educational components. 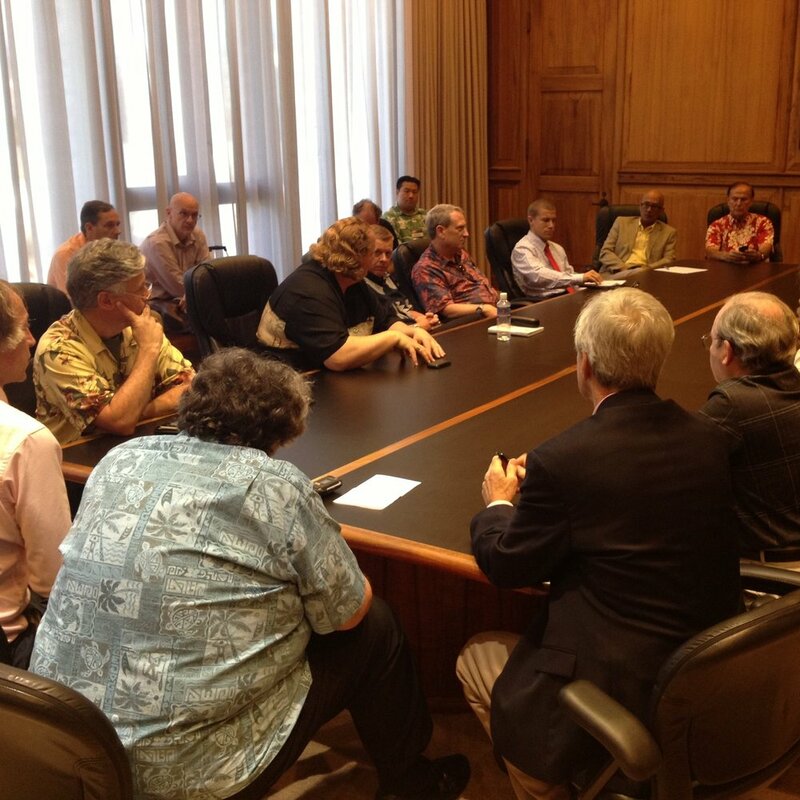 In 2006, the Hawai‘i State Legislature voted unanimously in a resolution of support for PISCES and the following summer, the organization received initial authorization from the State of Hawai‘i. Founded by the late Frank Schowengerdt, a former director at NASA’s Research Partnership centers (who also served as the center’s first executive director), PISCES operated as an affIliate of the University of Hawai‘i at Hilo (UHH) until June 2012, when then-Hawai‘i Governor Neil Abercrombie signed Act 169 into law, supporting the expansion of PISCES’ aerospace technology testing facilities. The state awarded the center $2.3 million dollars and legislatively transferred PISCES from UHH to DBEDT, operating under the jurisdiction of the Hawai‘i State Department of Land and Natural Resources (DLNR). Part of this reorganization called for the creation of a board of directors, as well as a cultural advisory committee consisting of Native Hawaiian representatives to assist with culture matters. Today, PISCES is an agency run by a staff of five (plus intermittent university interns) and its focus is the development and application of new technologies that benefit both space exploration efforts and the State of Hawai‘i. PISCES’ ongoing projects in Applied Research, Workforce Development and Business Development aim to develop technologies, products, and industries with direct benefits to both the State of Hawai‘i and the global effort of space exploration. Projects range from ISRU technology, materials science, and more. As part of PISCES’ Workforce Development initiative, the agency also supports education and outreach activities and provides real-world STEM learning opportunities to students through workshops and internship programs. At Planetary ‘Lego’ Blocks and Concrete, created by converting raw, natively sourced basalt surface gravel and dust into usable planetary building blocks and cement, with certain varieties of fly-ash basalt paver exceeding the durability of traditional cement. At Little Fire Ant UAV Project, where an unmanned aerial vehicle (UAV) is outfitted with a bait dispersion payload intended to help control and redirect little fire ant populations in Hawai‘i. 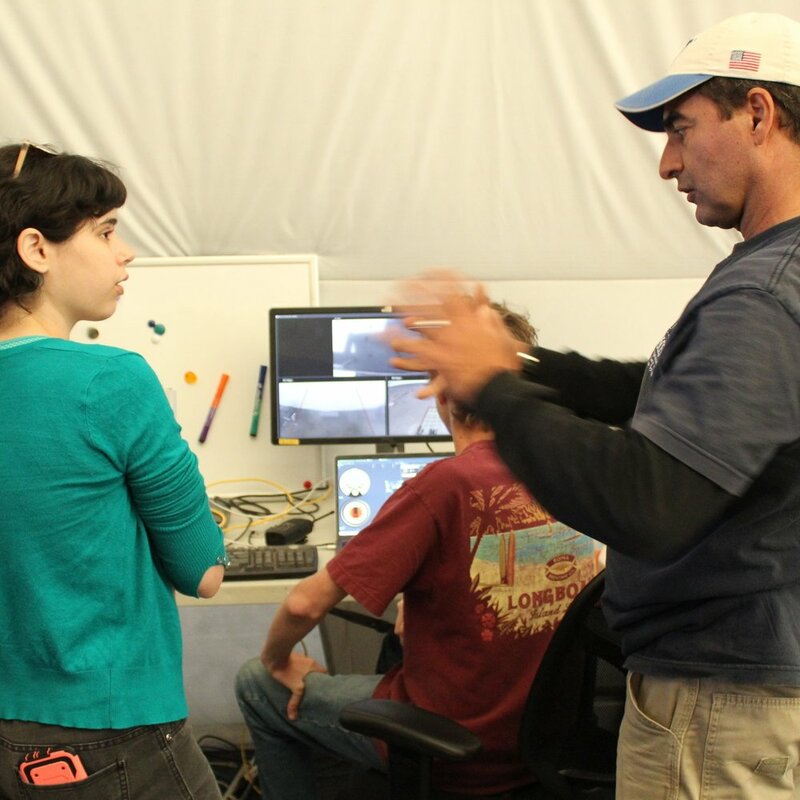 At NASA Laser Communication Ground Station, NASA’s first operational optical communications ground station on Earth with the capability of using laser light to transmit data through space at speeds ten times faster than comparable radio frequencies. At Planetary Analog Test Sites, consisting of diverse terrains and climates spanning from large, open tracts of volcanic cinder and basalt with features like valleys, hills, lava tubes, caves, and pit craters, which PISCES works to protect, as well as the large population of endangered and/or threatened wildlife inhabiting these areas, practicing environmental sensitivity and minimizing impacts. At The Moon RIDERS (Research Investigating Dust Expulsion Removal Systems) STEM project, which engages Hawai‘i high school students in a real-life lunar flight experiment to be flown to the surface of the Moon using NASA’s Electrodynamic Dust Shield technology designed to repel the corrosive and abrasive dust found on places like the Moon, Mars, and on asteroids. Part of PISCES’ commitments include educating the next generation of scientists, programs, and engineers to ensure they’re equipped with the skills and experience necessary to compete in the modern day job market. STEM education and outreach is a core component of PISCES’ mission and is part of every project the organization initiates. Educational programs and public outreach activities supported by PISCES throughout the year include Journey Through the Universe, Astronaut Ellison Onizuka Science Day, the Hawai‘i Science and Engineering Fair, AstroDay, and others. PISCES is also an active member of the Mauna Kea Astronomy Outreach Committee and regularly collaborates with NASA’s EPO programs to access greater resources. 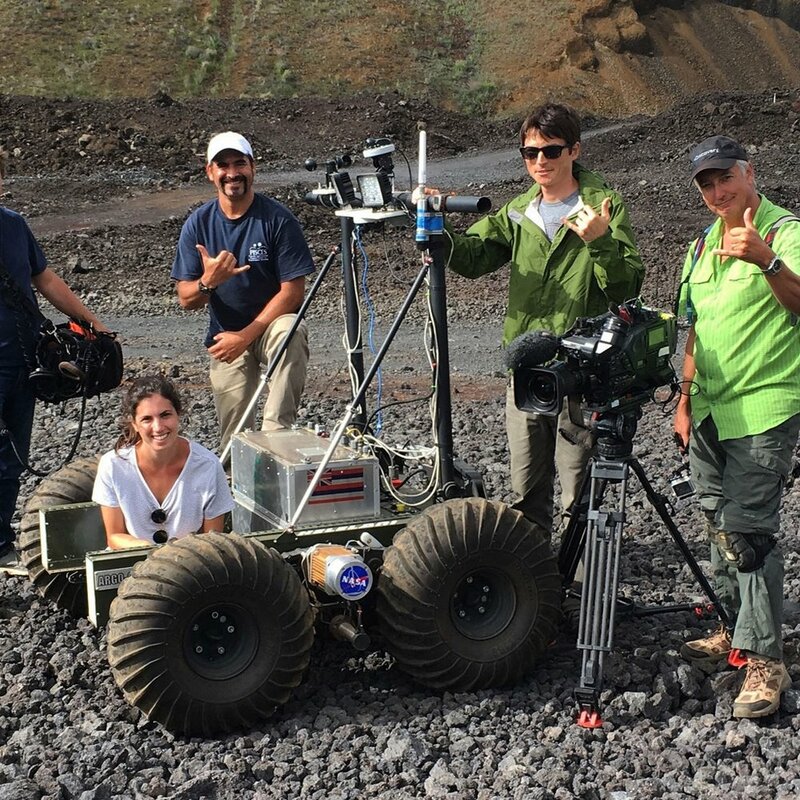 Other interactive programs include paid 10-week summer internships for college-level students in learning tracks, such as robotics, computer science, engineering, planetary geology, and materials science; and Women’s STARS (STEM Aerospace Research Scholars) program, encouraging Hawai‘i’s high school women to pursue a space career or related field in STEM through exposure and exploration of aerospace technology, astronomy, and other scientists to learn directly from local experts and hands-on activities and presentations. PISCES maintains and manages a 700-pound planetary rover on long-term loan from Ontario Drive Gear (ODG). Affectionately referred to as ‘Helelani’ (or heavenly travels), the rugged vehicle serves as a crucial platform for PISCES projects and programs involving Planetary Robotics. Helelani can be remotely piloted via handheld radio controller or through an internet connection from anywhere in the world. The rover’s hardware and software systems are continually growing in sophistication and capability through the hard work of student interns pursuing the Robotics Track of PISCES’ internship program. Helelani played a crucial role in the robotically built ISRU launch and landing pad project completed by PISCES and its partners in 2016. Helelani is equipped with a 48V main system provided by two 24V battery systems, 12V electronics and payload, sensors for GPS, voltage (for power systems), temperature (for motor surface, avionics enclosure), IMU (accelerometer, gyroscope, magnetometer, barometer) and motor RPM, plus imaging systems including pan-tilt situational awareness cameras, front and rear view haz cameras, and stereoscopic imaging system.